Zadkiel and Holy Amethyst are the Archangel and Archeia of of the Seventh Ray of God's Freedom, Mercy, and Transmutation. 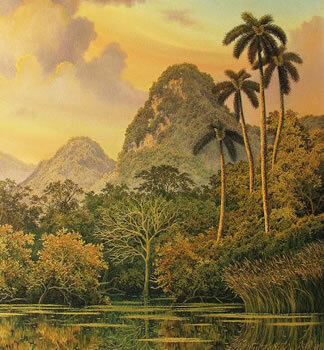 Their Retreat is called The Temple of Purification and is located in the etheric realm over Cuba. In every Retreat of the Archangels, there is a Focus of the Sacred Fire that is maintained at all times. In Zadkiel and Amethyst's Retreat there is the focusing of the Violet Flame of Freedom. Archangel Zadkiel and Amethyst's Retreat sustains the Violet Flame for mankind as humanity gradually learns to invoke It for themselves. Before the sinking of Atlantis, the Temple of Purification was a physical Retreat for the Priests and Priestesses of the Order of Zadkiel. Their primary function has been to invoke, sustain and project the Violet Flame into the atmosphere of Earth, and thus to transmute the accumulation of misqualified energies of humanity. If it had not been for this Work of this Temple, the Flames of various God Virtues sustained in Temples on other portions of the Atlantean Continent by other members of the Brotherhood of Light could not have been sustained, nor would they have been allowed, later, to be carried by their own Priests and Priestesses, to other parts of the Earth at the time of the sinking of the Atlantean Continent. These Masters of Invocation used this Focus of the Violet Flame and the accumulated Momentum of Good in their Causal Bodies for the transmutation of misqualified energies on Earth. 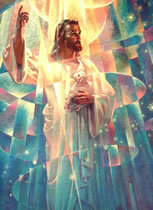 This activity of the Seventh Ray was developed through instruction and training of lifestreams, in the Science of Invocation (giving Decrees), and in holding the attention upon God, the Great "I AM" Presence. Through the power of that sustained attention, the Mercy of God was magnetized, until it became a tremendous force for good. 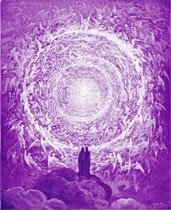 Rhythmic invocation, constancy of devotion to the magnetization, sustenance and expansion of the Violet Fire through meditation, contemplation, songs, and Decrees, were the fundamental teachings of the Temples of Archangel Zadkiel. From the golden dome of each Temple arose a living, visible Violet Flame, which could be seen within a radius of 1,000 miles. Saint Germain, not yet Ascended at that time, served as one of the Priests in the central Temple. At the time of Atlantis, Saint Germain served in the Order of Lord Zadkiel as a high priest in the Temple of Purification. Prior to the sinking of the continent he was called by his own Teacher, the Great Divine Director, to carry the Flame of Freedom from this Temple to a place of safety in the Carpathian foothills in Transylvania. When Atlantis sank, the Temple of Purification was withdrawn (etherealized) to the etheric plane. Saint Germain later returned to the location of this Retreat when he was embodied as Christopher Columbus. Saint Germain studied here between his different embodiments as well as during his embodiments during periods of sleep. With an inner memory of serving in the Temple on Atlantis, Columbus was magnetized to the Flame of Freedom in Archangel Zadkiel's Temple of Purification. 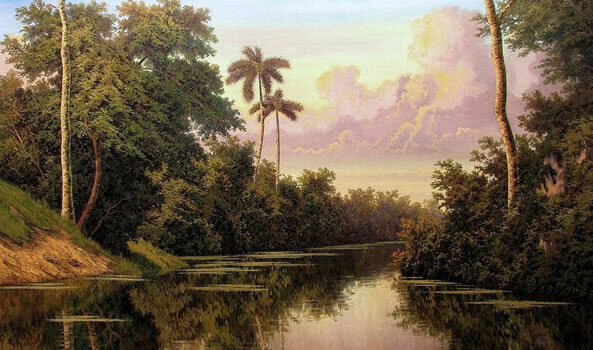 The impetus for coming to the Caribbean islands was the Temple's impetus of Freedom, drawing the Heart of Saint Germain to chart a new course for a new land. There are seven temples at this Retreat. The complex is composed of a central Temple made of gold, encrusted with amethysts, that is circular in shape, and very large. The main Temple is circular with a golden dome, and a pyramid-shaped Altar in the center where the focus of the Violet Flame blazes. The Temple has four entrances with seven pillars surrounded by six lesser Temples, each of which has a golden dome. The architecture and design of the central Temple is very similar to that of Archangel Michael and Faith at Banff. The decoration throughout the Temples is effected with amethyst inlaid in gold, while the golden dome is plain. An gigantic amphitheater was built above the Retreat in the early 1950s. It is constructed in the shape of the Temple of Purification, but is of much larger size. The keynote of this Retreat is the Blue Danube Waltz, inspired upon Johann Strauss by Saint Germain. Archangel Zadkiel and Amethyst invite students to come to their Retreat to transmute all past records and memories of misues of God's Perfect Life and Light that has been released to them daily through their Crystal Cord.